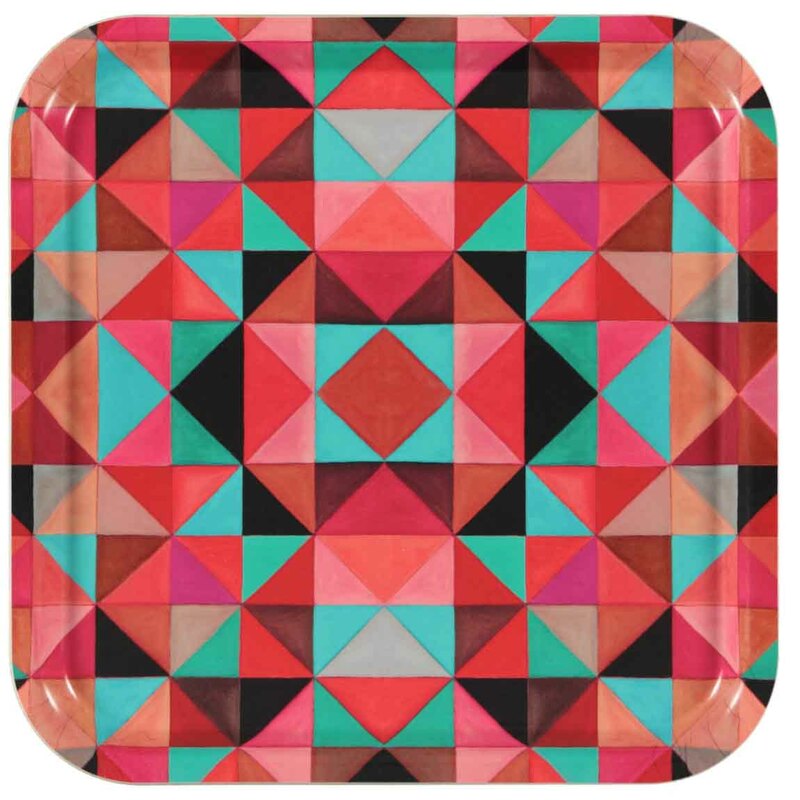 Luxury tray featuring a striking colorful geometric pattern in picasso red created by Mariska Meijers. Made in Scandinavia. The Bold Cubism serie is available across our interior collections.